On a late December afternoon Mary Alvarez received a phone call from a man calling himself Joseph Wilson. He claimed to be an employee of the Social Security Administration (SSA) and said that she was being charged with a federal crime. The caller said someone using her Social Security number purchased drugs and a stolen car, which police found covered in blood. “Joseph Wilson” then explained to Alvarez that they would have to close all her bank accounts and freeze her assets until further investigation. Alvarez assumed that even if it was true that her Social Security number was misused, she was not responsible for the consequences. She expected the SSA would provide her with the opportunity to protect her assets and give her a new Social Security card. Then the phone call started to make even less sense. The caller explained to Alvarez that in order to protect her assets, she would need to go to a Rite Aid near her and purchase three Google Play Cards, and then put $500 on each. He offered to stay on the phone with her, while she went to obtain them. One reason Alvarez thought it could be real was that the caller knew her names, address and Social Security number. After she bought the cards and put money on them, the caller told Alvarez that he wanted her to scratch off the back to expose the hidden serial numbers. He told her to read him the numbers or send them to him via text message on her phone. Andre Alvarez, Mary’s husband said he received the same call a few weeks earlier. It was the same lines, same circumstances, and same threats. The only difference was that it was a female caller. If you answer the phone and the caller mentions that law enforcement is involved, you should just hang up. Scammers often use this as a threat to scare people. Police would come to your house personally if a crime was indeed committed, not make the SSA inform you themselves. Check the area code of the incoming call. Scammers would often call from unfamiliar locations. Check the number of the incoming call. Call back and check if the same person who called you, will pick up the phone again. Do not respond to any questions, especially those that can be considered private. Do not provide any additional information over the phone. Scammers will provide some details about you, but they do not know everything. They try and make you tell them. Check your bank accounts and credit card information. Call the SSA immediately, to confirm that anything has been changed or stolen. Block unknown calls or text messages. The SSA administration would not do this. 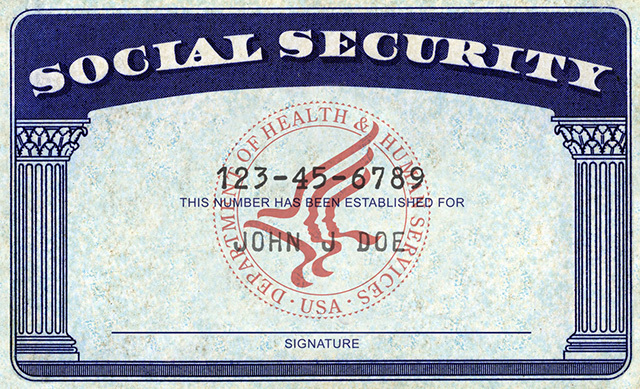 Social Security numbers are frequently used in various everyday situations that call for individuals to write down their full number or just the last four-digits. They may be required for financial aid, bank statements, opening an account, FAFAS, job applications, and much more. Thus it has become easier to find out anyone’s Social Security number and then use it for illegal dealings. 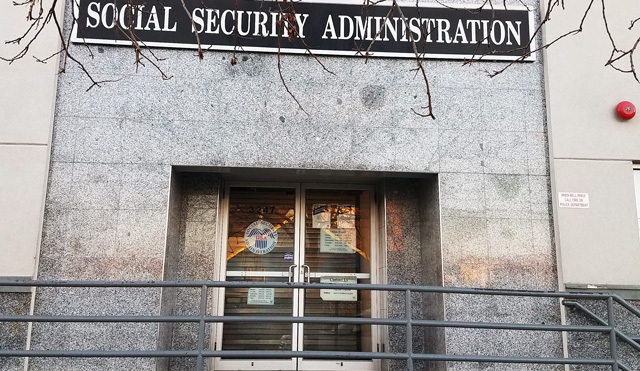 Some scammers disguise themselves as staff from the SSA and use Social Security numbers in an attempt to steal important personal information or to obtain instant access to the money of the unsuspecting. The incoming call shows the SSA customer service number, 800-772-1213, on caller ID, a legitimate phone number, to fool consumers. The caller then threatens to terminate benefits if victims don’t confirm the information or do not comply with what they demand to protect assets. Individuals can sign up for different identity protection services, such as Life Lock and Identity Guard. They can also check in on a regular basis with bank, credit unions, and let’s not forget, the Social Security Administration itself. Call to demand personal bank information on the phone. Threaten to immediately bring in local police or other law-enforcement groups to have you arrested for a specific crime. Demand that you transfer your money from a bank account onto gift cards, without giving you the opportunity to question the situation. Require you to provide them with card serial numbers, such as a prepaid debit card, gift card. Ask you to leave your property in order to transfer money from a nearby convince store.